Click "Allow" above to play the xylophone just by waving your hands. To play the xylophone, turn up the volume and wave your hands. This demo lets you play the xylophone using motion detection in your browser. Install Chrome to play. Your browser doesn't support the html 5 video tag. 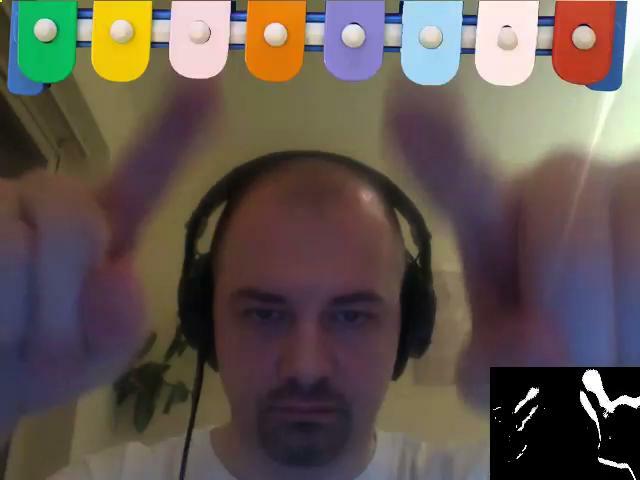 This demo lets you play the xylophone using motion detection in your browser. Please allow access to your camera and microphone above. Install Chrome to play, or watch this video to check it out first.